1. The Promotion commences on 1st July 2012 and ends on 30 September 2012 (“the Campaign Period”), unless notified otherwise. 2. The Hong Leong Bank Berhad (“HLB”) “Enjoy 10% Storewide Discount at Zalora – Online Fashion Store!” (“the Promotion”) is open to all Hong Leong and former EON Bank Credit Cardmembers (“Cardmembers”). 3. Payment must be made with a Hong Leong or former EON Bank Credit Card to enjoy the offers. 4. Cardmembers are entitled to receive 10% discount from total bill with every purchase made during the Promotion Period, as well as enjoy any of the existing promotions or discounts featured on Zalora online store. 5. This offer is not exchangeable for cash or other kinds. Other T&Cs applicable to the purchase(s) made on Zalora are beyond the Bank's control and are determined by Zalora. Any dispute arising under the T&Cs of Zalora shall be settled directly by the Cardmember with Zalora without recourse to the Bank. 6. By submitting personal data to Zalora for registration as Zalora members, Cardmembers are deemed to have given consent and authorization to Zalora for having access and using Cardmembers’ personal data for whatsoever purpose including the sending of marketing and promotion materials of Zalora to Cardmembers. 8. 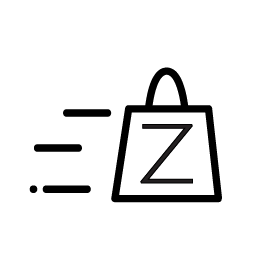 Any dispute concerning goods or services received as purchases and/or delivery of goods purchased under the Promotion shall be settled between the Cardmember and the Merchant (Zalora) without recourse to the Bank. Zalora reserves the right to cancel, change or substitute any part of the promotion. 9. In the event any liability arises during or after the purchases, Cardmember(s) hereby agree not to hold HLB against any losses, claims, judgment, settlement, damages and liabilities (including solicitor’s fees) in relation to participation in the goods purchased. HLB does not assume any liability whatsoever with respect to death, injury, any losses, damages or accidents arising from the purchase or redemption by the Cardmember. 11. HLB reserves the rights at any time to add, delete, suspend or vary the Promotion T&C contained herein, wholly or in part at its absolute discretion by way of posting on the website, or in any other way deemed suitable by HLB for giving prior notice to the Cardmembers for such addition, deletion or amendment of the T&C. The Cardmembers agree to access the website at regular time intervals to view the T&C and to ensure that they are kept-up-to-date with any changes or variations to the T&C. 12. In the event of any discrepancy between these T&C and any advertising, promotional, publicity and other materials relating to or in connection with the Promotion, the final T&C published on the HLB website shall prevail. 13. The Terms and Conditions herein shall be governed by and construed in accordance with the laws of Malaysia and the Cardholders agree to submit to the non‐exclusive jurisdiction of the Courts of Malaysia.